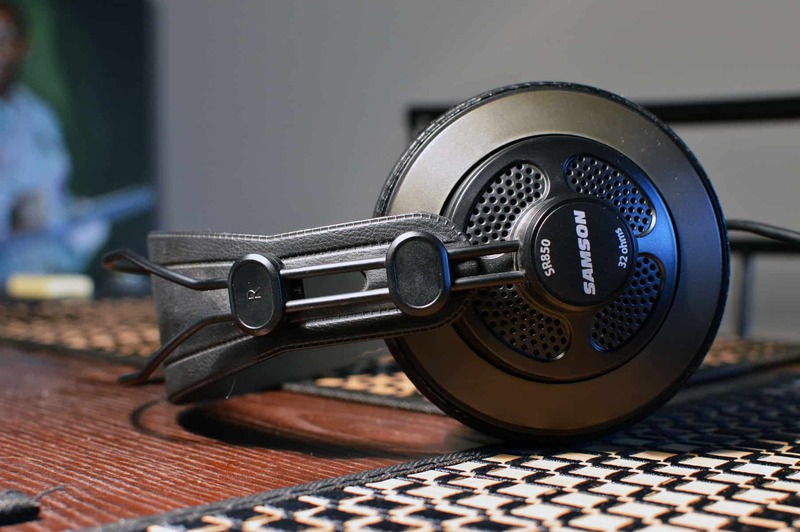 HomeOpen Back Headphone ReviewsSamson SR850 Review | THE UNDERDOG? 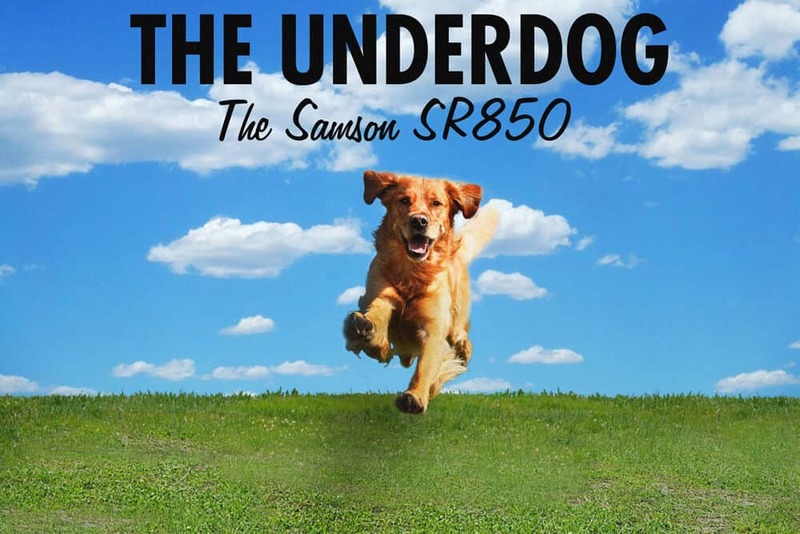 Samson SR850 Review | THE UNDERDOG? 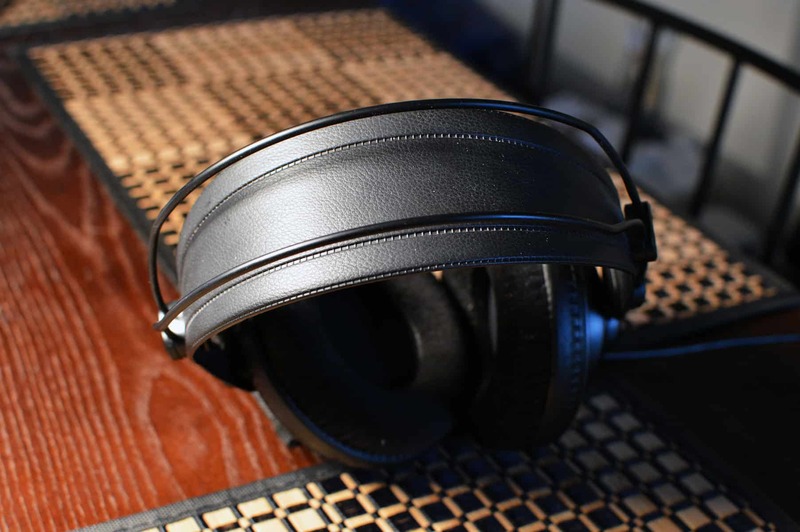 Budget King #3: The closed back Audio Technica ATH M40x Review! Why did I place this fourth? 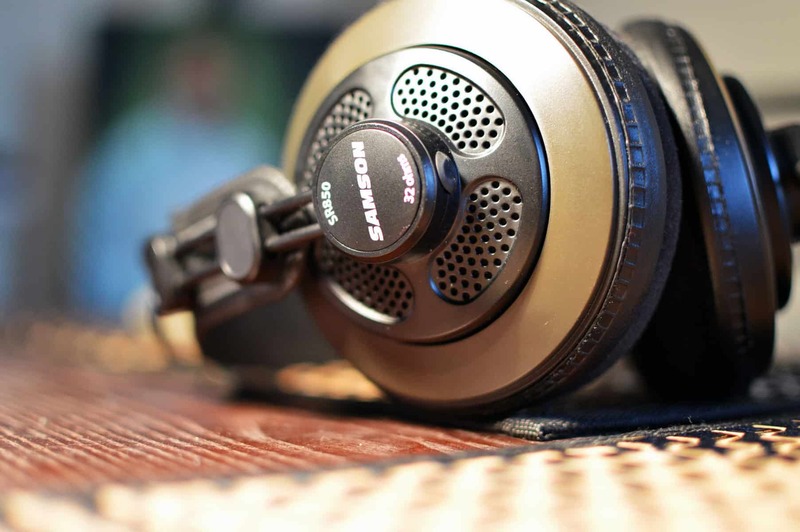 The Samson SR850 is a really cheap headphone that really delivers. I can honestly say I’ve heard things in songs that I haven’t with other headphones. Add to that, it’s fantastic for Gaming and movies. In fact, this is my current Gaming/Netflix headphone and sits on my coffee table at all times, ready for action! Use an amp if you want but plugged into your controller is fine too as it doesn’t need any power! It doesn’t receive top honors because of the sometimes overly bright treble, but it does so well for a variety of genres and has an open, airy and detailed sound, perfect for Rock! Instrument separation is also spot on, and the headphone is pretty comfortable on your melon. Build feels quite cheap in your hand, but I’ve had this puppy for about a year + with no issues whatsoever. It’s deceptively sturdy I would say but doesn’t feel like it in your hand. Similar to a K240 in that regard actually. 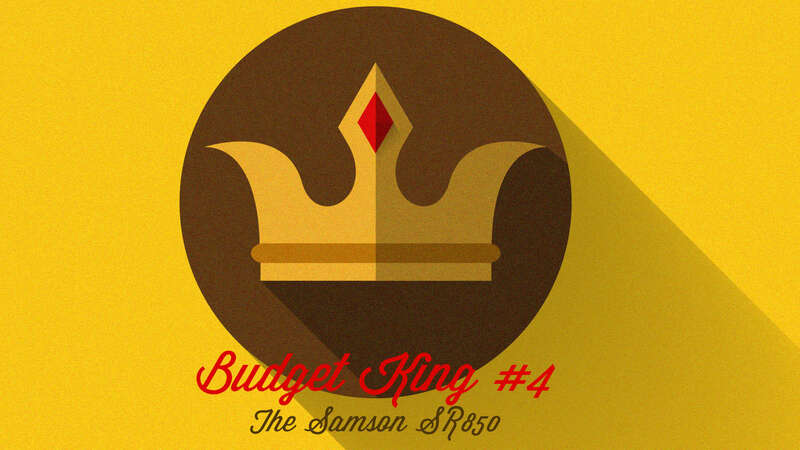 Before we get into the Samson SR850 Review, grab a snack, sit back and relax because.. Type: Semi-open. Closed back vs. Open back headphones. Right off the bat, these remind me so much of the AKG K240 Studio’s. They have the same hammock style headband which I absolutely adore, and the weight of them feels very similar. I don’t know if it’s because I haven’t picked up a pair of 240’s in awhile, but the 850’s feel a bit more durable to me. The ear-cups are a bit shallower, but I’m digging the velour padding on the 850’s more than the faux leather of the 240’s. They just feel more rigid and stiff, as if they’re going to crack and completely fail you. I’ve heard rumors that the 240 does tend to break down over time, but I haven’t experienced it for myself. Comfort wise, the 850’s are pretty phenomenal, they clamp just right, and you won’t feel the need to take them off right away like you would with other headphones. This becomes even more impressive when you consider their price. I would stack these up against just about every entry level headphone and the 850 would come out on top or equal to about 95% of the time. They’re that good. Sound quality is phenomenal. The great thing about this headphone is that it doesn’t sound bloated or cheap. The bass is definitely lean, but it still has some impact though if you’re a bass-head you may want to stay away. This is a headphone more for the budding audiophile who desires an overall balanced sound. Treble wise, they do have a tendency to become bright, and pretty sibilant at times. What does Sibilant mean? For the most part, they are incredibly detailed and have a nice sense of air about them. I would say the Soundstage is particularly impressive. I get a nice sense of space and depth to the music. The width of the image is exceptional, and for Gaming these are a real treat. What is Soundstage? There’s this weird depth and thump to the music. Everything has this nice lively quality about it. Instruments feel more present, and they have a nice element of realism. You’ll also start to hear subtle details in music that sound really interesting and also revealing. I’ve talked about headphones in the mid to upper hundred range that do the same sorts of things. To me it’s astounding that a headphone below a hundred dollars could bear some of these same qualities as stuff in those other price ranges. It’s frankly scary. I sometimes talk about the law of diminishing returns in my articles. This simply means that beyond a certain price threshold, the increase in sound quality gets incrementally smaller even though you’re paying a lot more. This is why it really doesn’t make sense to purchase a headphone over a thousand dollars (in most cases, there are exceptions), when you can get just about the same sound for around $300. With lower end stuff like the 850, you’re really not missing much and in fact the sound is strikingly similar to some of the mid-tier gear that I’ve gotten a chance to demo or own. Lively sound. There’s a nice crisp quality to the 850’s that really leaves you smiling. Plenty of air. These are very open, and have a nice sense of space and depth. Comfortable. Even as I sit here listening to them with sunglasses on, I don’t feel like I need to take them off or adjust them. Build quality. It’s impressive for such a lightweight can. I feel like these can take a bit more abuse than your average Joe. They are a tad strident at times. Comfort isn’t bad, but you’ll be making adjustments with these. The ear cups are shallow and tend to dig after awhile because your ears are basically touching the drivers. Click to see the 850! Amazing for Gaming and Movies. These will not require an amp and sound great out of your mobile device. How to choose a headphone amp! Being that they have a 32 Ohm Impedance and 98dB of Sensitivity, you’re not going to need hardly any power to drive them to peak loudness. Jazz. A lot of finer as well as minor details become present. I really like the personality of the music as well. Things seem to have more character; you’re able to get a sense of how the artist intended the song to sound. 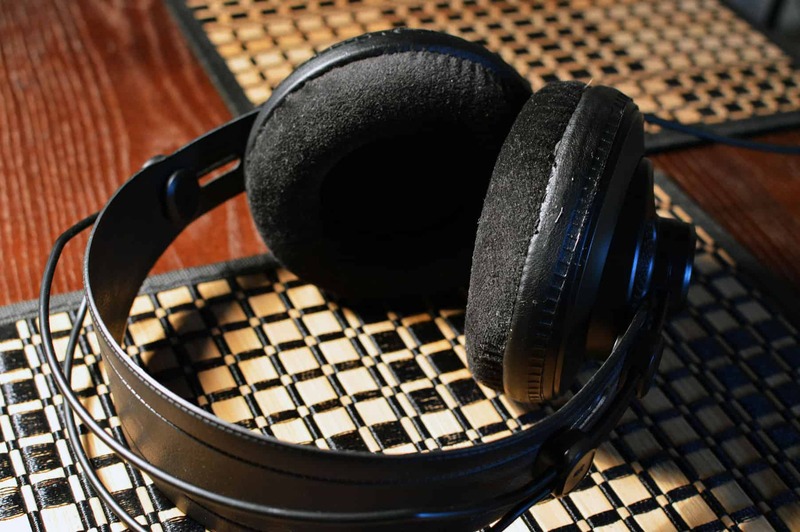 It’s hard to explain, but good headphones kind of reveal the true nature of how music sounds. There’s more impact behind the instrument. It feels more real, present, and complete. Something I’ve found also with revealing headphones is that they are more whole and you hear bass lines fully fleshed out, as well as other instruments and vocals. What I’m really digging about the 850 is the fact that when a song reaches crescendo, I don’t feel overwhelmed as if the sound is just out of control. You know the feeling I’m talking about: stuff starts running together, things may get a bit sibilant, and you can’t really hear what’s going on clearly. I haven’t had this problem with the 850, and it’s astonishing to me, again given it’s price. An extremely revealing set of headphones with a somewhat colored, open, airy sound. Unbelievable value. Can be strident at times, but it’s very minor. Comfort is phenomenal, build is also good. They feel lightweight but not as if they would break down easily. The SR850 isn’t a perfect headphone, but it’s an incredible value for the price. I would highly recommend them at a cost even over a Benjamin. For their current price it’s an absolute steal. This is a very underrated headphone for sure. Interested in learning more? Well that’s about it for today my friend! I hope you’ve enjoyed this Samson SR850 review. What do you think about the SR850? I would love to hear from you. Until next time.. I just want to say, Stuart, that it’s refreshing to read your honest reviews on headphones. While yours are not the only good reviews, there are a lot of fanboys pushing products and it’s not all that hard to tell which reviews are somehow paid for through commercialism. It took me many hours of research before I was able to find the painstaking, excellent work you’ve presented. Your work far exceeds the norm on the web and I really appreciate you giving of your valuable time and energy to help me and others reach a difficult decision. You rock! Thanks much I really appreciate that. I do my best to be unbiased and honest about what I hear. Do you mind if I put your nice comment on the front page? Let me know!